Welcome to D-Tect Home Inspections Inc. 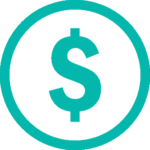 The cost of a home inspection is very small compared to the cost of a home and most home repairs. As a home buyer, you have been crunching numbers, negotiating offers, adding up closing costs and trying to get the best deals. Now comes the most important part of the process, the home inspection! Safeguard your investment with a thorough real estate inspection with D-Tect Home Inspections™. Our goal is to help buyers better understand the overall condition of the property being considered for purchase and to provide the information needed to make an informed business decision in respect to due diligence. D-Tect Home Inspections, Inc. is a member of The International Association of Certified Home Inspectors (InterNACHI), the world’s largest organization of residential and commercial property inspectors. 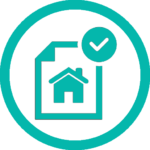 Our members perform more than 10,000 property inspections every day. As members in good standing we have acquired professional training, accredited education and certification. 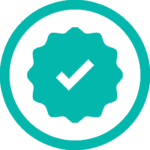 D-Tect Inspections™ is committed to helping protect your interests through a professional and comprehensive inspection using InterNACHI’s Standards of Practice. 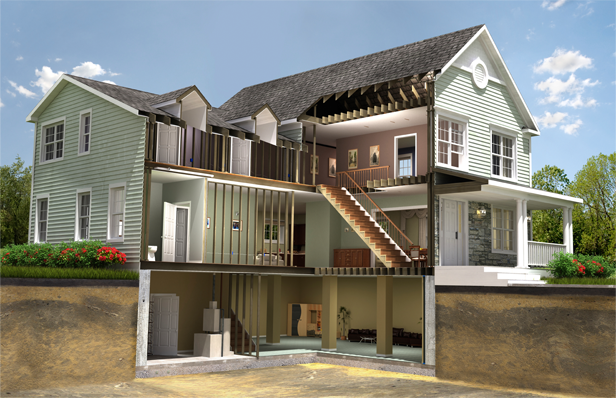 • Foundation and footings – structural integrity and possible moisture including grade issues. • Roof, chimney, flashing and valleys – evidence of water penetration and condition of materials. • Gutters and downspouts – general condition and its ability to carry off rainwater. • Driveways, patios, decks and porches – signs of settling, deck safety, deferred maintenance. • Heating and air conditioner system – proper installation along with age of equipment and air supply. • Walls, floors, ceilings, interior windows – indications of structure problems, type, general condition. • Plumbing system including water heater – all visible fixtures, pipes and drains tested for operation. • Electrical system – outside entrance wiring, service panel and visible wiring inspected, including outlet polarity and GFCI protection. • Heating system – visible inspection of furnace including its individual components. • Attic and insulation – visible roof sheathing, ventilation, insulation and framing. • Kitchen appliances – range, oven, dishwasher, disposal and refrigerator. Eric L. Dubin is the owner of D-Tect Home Inspections Inc.
A New Jersey licensed home inspector as well as a certified NJ DEP Radon Measurement Technician. Eric has over 20 years experience as a manufacturer’s representative in the mechanical, plumbing, and heating industry plus extensive expertise in all phases of residential and commercial building projects. they are completed (in most cases within 24 hours).Home inspections can help you buy or sell your home with confidence. As trained professionals we have seen it all, and we’ll provide invaluable help in turning you into a knowledgeable consumer. • Member in good standing of the National Association of Certified Home Inspectors (NACHI). Thanks Eric, for doing such a thorough job.This was the second inspection that we used Eric (D-Tect Home Inspections) He is very knowledgable & a pleasure to deal with. 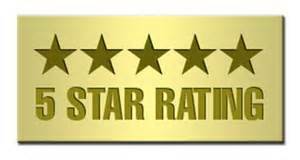 My wife & I were very pleased with Eric and his detailed inspection report .He was very patient with us as first time home buyers,and answered all our questions.We recommended him to my sister & a couple of our friends. Our realtor recommended Eric & we were very happy with his professionalism, from start to finish. As a first time buyer ,I was very nervous about the purchase of my new home. Eric helped ease my anxiety by explaining and answering all my questions.I have recommended him to my friends. Very knowledgeable & very pleasant.He was very thorough and left no stone unturned, True professional. Very competent & a gentlemen.I recommend Eric to everyone that I know,that is looking to buy a house. The inspection report was very informative & very helpful in our decision making to go forward with the home.Thanks Eric. 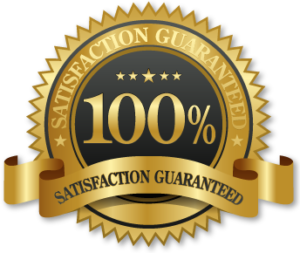 Eric was fantastic.As a contractor ,I am familiar with the components of a home,however Eric pointed out a potentially very dangerous flaw in the HVAC system.,that I would have never been aware of .He was very thorough and we were very satisfied with his services. As trained professionals we have seen it all, and we’ll provide invaluable help in turning you into a knowledgeable consumer. Homeowners can identify problems in the making and take preventive measures to avoid costly repairs. In both new and older homes, the best way to ensure that you are well informed about the strengths and weaknesses of a property is to have us give you a professional home inspection. We are trained to identify problem areas both small and large that may have been overlooked by the previous owners and to identify which problems may require immediate attention. Most builders provide a one-year warranty for new construction. Generally during this period of time the buyer develops a “punch list” of corrections for the contractor to repair under the warranty coverage. Some defects will not be obvious to the untrained eye. It is prudent to obtain a home inspector’s list of items that will most likely be repaired by your builder at no cost to you. You will be reassured knowing that potential problems were addressed. Our job as your professional home inspector is to alert you to unknown problems and potential environmental hazards in your current or potential house. We perform a non-invasive visual inspection of your property which can alert you to possible environmental hazards. During the course of the inspection we will look for any of the following potential hazards and recommend reliable testing services if we feel such a course of action is warranted. 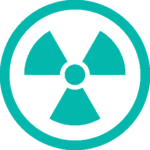 Radon: Radon is a naturally occurring radioactive gas found in soils, rock, and water throughout the U.S. Radon is a threat to health because it tends to collect in homes, sometimes to very high concentrations. 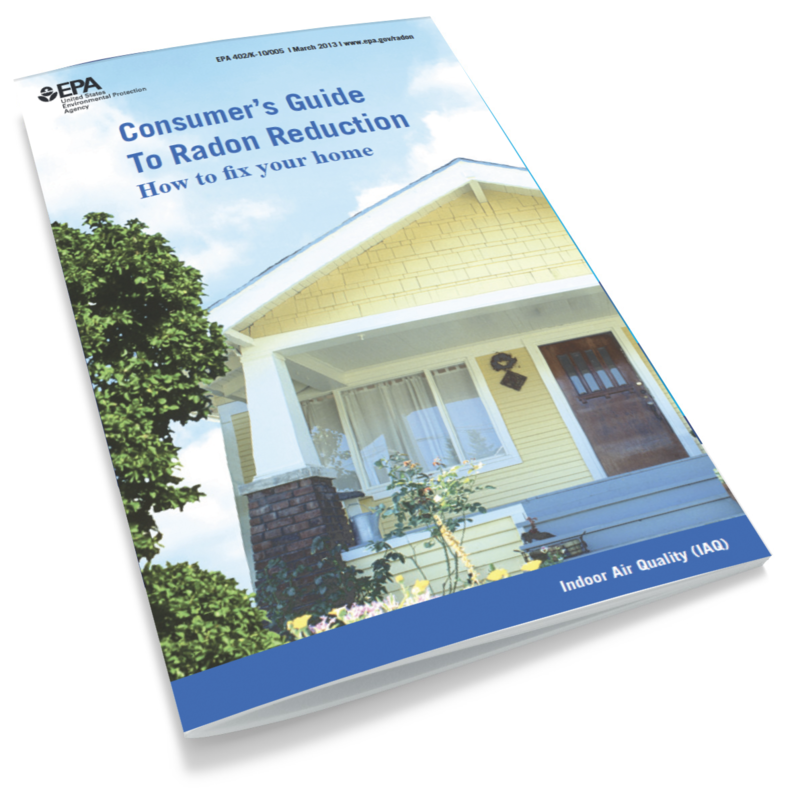 Below we have attached the EPA Consumer’s Guide to Radon Reduction. Call: (973) 420-3329 Or Contact Us Now!